Hungry kids don’t always look hungry. Haile Jewelry & Loans 7th Annual Food4Kids Food Drive Extravaganza! Click here to checkout the event. Then download this list of drop off sites to learn where to participate! Support Food4Kids and bring a donation to the event! Click to Learn More. We are excited to have you join our team of volunteers at one of our upcoming events found at: Signup Genius. Please let us know if you have any questions and we look forward to seeing you soon. If you would like to bring out a large group of people or schedule an event for team building, please email us directly at volunteer@food4kidsfl.org to set up a date. How do you spot childhood hunger? The signs aren’t always obvious – maybe an offhand “Are you going to eat that?” at lunch, or a request for an extra snack in the classroom. Yet hunger is real and happens every day in our community. Thousands of area students depend upon free lunch programs for the majority of their meals. On weekends and holidays when school isn’t in session, these kids often go hungry – and they return to class too undernourished to focus on learning. Food4Kids sends these students home with food to help them bridge that gap, be it a standard weekend or the long summer break. Because when hunger ends, learning begins. Partner with schools to Identify at-risk children. Raise funds and collect food. 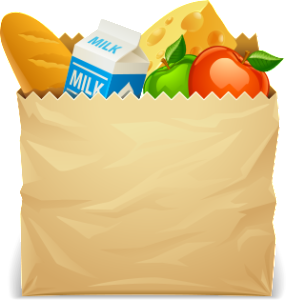 Sort and pack food into backpacks. Distribute backpacks to kids for the weekend. They return the backpack and we get ready for the next week. Help us feed their goals. Every child should have a dream for the future – to become a doctor, a musician or maybe a star athlete. When kids don’t have to worry about food, they can focus on learning to help those dreams come true. With your assistance, every child in our community can have a better chance to reach his or her goals. We gladly accept donations of food and money so that we can stock our pantry. Volunteers are also a crucial part of our work; they sort food at our warehouse and pack it into backpacks and boxes for distribution to participants throughout our area. Even the smallest amount of time can make a big impact on our efforts.